Collecting farming toys, such as tractors, is a very popular hobby that is enjoyed by people across the world. It is one of those rare pastimes that can cross generations, with both the young and old searching out new additions to extend their collections. It is more likely that children will acquire these toys in order to play with them, which may reduce the value of certain collectables. This should not put a stop to their fun though, as many collectable farming toys have a history, having sometimes been handed down through families over the years. The look and feel of older farming toys can bring about nostalgia for those who may have played with them when they were young, transporting them to a time and place where life was much simpler. Farming enthusiasts will often collect farming toys, adding to their collection each time they purchase a larger version for their real-life farm. These will usually remain in the original packaging, left untouched as a pristine display model that may increase in value as the years pass by. The farming toy community is widespread across countries and generations, who often keep in touch through forums, clubs and shows, where they discuss new additions to collections and share information on where to find rare items. Collecting these toys has remained an affordable hobby, whereas many other hobbies are sometimes priced beyond a person's means. They make a great gift for birthdays and Christmas, where you can ask friends and family for specific models that you have been waiting to add to your collection. 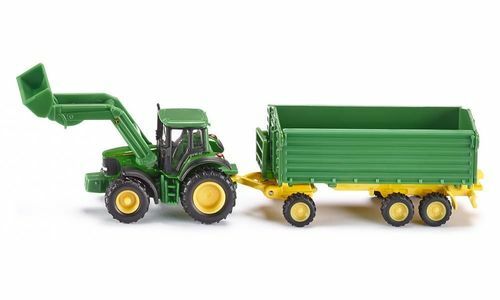 Whether you have an existing collection that you would like to add to, are at the start of this new hobby or would simply like to treat yourself or your children to an interesting and fun toy, here are 5 of our favourite scale farming toys. This scale model is true to the original life sized vehicle, with an opening bonnet, steerable off-road front axle and tailgate that opens automatically when tipping. 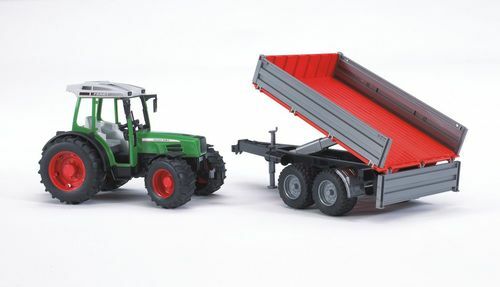 A realistic scale model, this Krampe trailer can be disconnected from the tractor, allowing a more exciting play experience if it is given to a child. The high quality tractor is mainly made of metal and will make a wonderful addition to any collection. With original features such as detail wheel trims and high grip plastic tyres with authentic track, this fantastic model will look great if displayed in the box, or will provide hours of fun if played with. A true to scale model, this tractor has original wheel trims with rubber tread, a removable cover and a three axle tipper that is made almost entirely from metal. It is perfect for a collectors display or for a child’s playroom. Add this detailed model to your collection for a realistic and manoeuvrable tractor that has a steerable and off road axle with tread tyres. 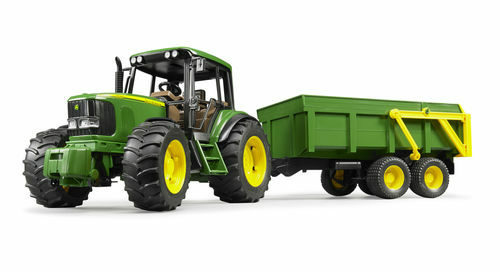 It is a great item to collect or to give to a child who is enthusiastic about farming vehicles. Visit our website for a wide range of farming toys, perfect for the budding collector.